Part of the Square. (Photographed in workshop. 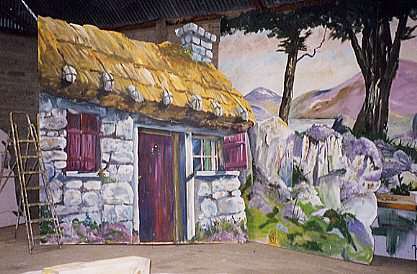 Scenery under construction for "Brigadoon" (Ladders for scale) This trompe l'oeil "Cottage" is painted on one large flat sheet.